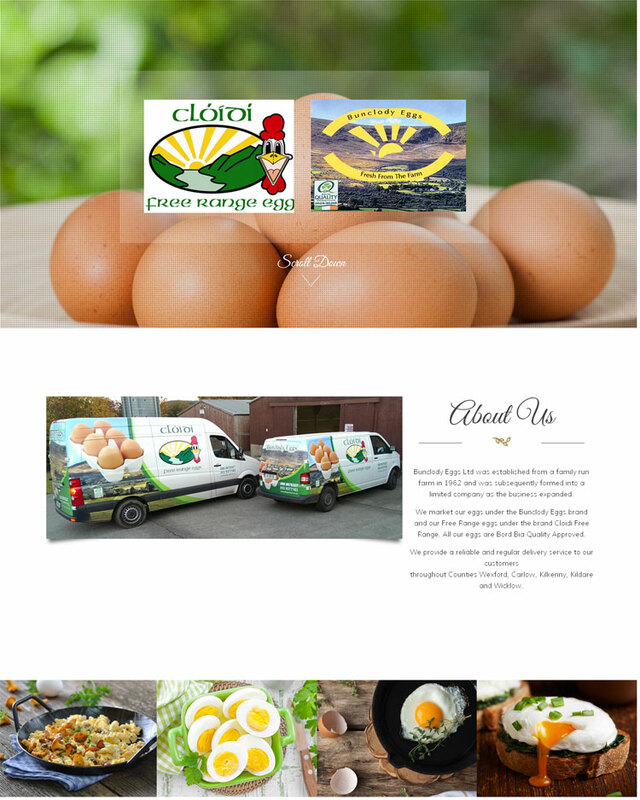 Blackstairs Web Design were asked by Bunclody Eggs Ltd to design and develop a website for their business. They were looking for a website that would highlight their business of supplying eggs to some of the largest retailers and some of the best known hotels and spas. They wanted a modern clean scrollable website. The website would be easy for their customers to access whether they were looking on a desktop screen or on their smart phone. The most important features of the site were the images of their products. They also wanted information on the Bord Bia quality assurance scheme, nutritional value and some handy egg recipes. Check out this website to see the latest trends in scrollable website design.